Minister of Industry, Investment and Commerce, Hon Anthony Hylton (centre), is greeted by international technology expert, Michael O’Neil (left), when he arrived at the Jamaica Pegasus Hotel in New Kingston today (July 2) to participate in the launch of Columbus Business Solutions (CBS) Hosted PBX product. Looking on is Director, Corporate Communications, CBS, Gail Abrahams (right). Minister of Industry, Investment and Commerce, Hon. Anthony Hylton, says wider and affordable access to telecommunication services, will allow businesses to compete in domestic and international markets more effectively. The Minister added that increased efficiency of the telecommunications sector is especially important to the service-based industries, as they are the most intensive users of telecommunication services. According to Director, CBS, Hosted PBX is the latest business tool in an entire suite of services that the company has designed to enable the successful growth of small, medium and large clients across the region. Minister of Industry, Investment and Commerce, Hon. Anthony Hylton, says wider and affordable access to telecommunication services, will allow businesses to compete in domestic and international markets more effectively . “Competitiveness in the international economy is dependent, to a large extent, on the deployment of innovative communication solutions, which in turn, will be dependent on continuous network modernization or development in the sector,” he said. The Minister was speaking at the launch of Columbus Business Solution (CBS) Hosted PBX product, at the Jamaica Pegasus Hotel in New Kingston, on (July 2).Mr. Hylton pointed out that greater efficiency in the telecommunications sector will increase growth and output in other sectors. “Reduction in prices and the wider availability and variety of telecommunication services will also decrease input prices, and help to spur innovation in other industries, thus resulting in improved productivity gains,” he said. 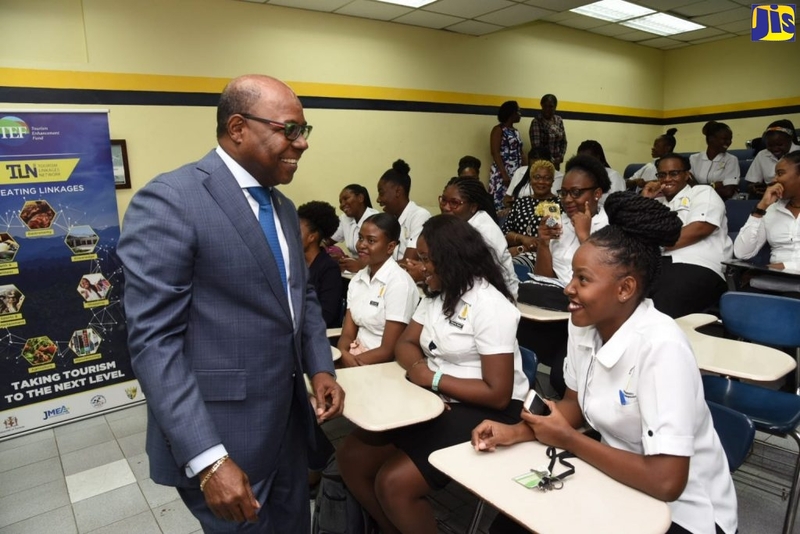 The Minister said the Government has been working to improve the efficiency of the telecommunications sector, pointing to the Jamaica Internet Exchange Point (IXP), which is to be implemented by the end of July this year. This, he said, is expected to save the country more than US$2 million per year. Currently, all Jamaican Internet traffic is routed through the United States.An IXP allows local internet service providers to connect their networks and exchange traffic locally, at a reduced cost. The establishment of an IXP in Jamaica will keep local-bound internet traffic within the nation’s borders, instead of routing it through expensive international links as normally obtains in most developing countries. “Hosted PBX provides a unified communications solution which ensures that businesses can save money, while boosting productivity. The solution gives access to high technology and functionality at a low upfront cost,” he said.